Jackie gets listed in "Racerchicks.com"
Jackie Weiss test drives new DTR in Vegas! Just started 4 months ago in kart racing, Jackie Weiss finished podium! 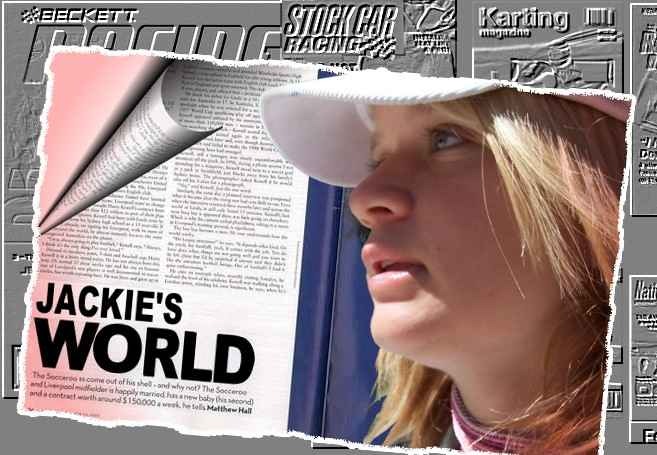 Jackie Weiss has been awarded "Kart Racer of the Month"
Jackie is well known for her fairness at the racetrack; fairness for her has top priority - even in the hard competition for a trophy!